With our Pig Harvesting class fast approaching I have been asked a lot lately about how I am able to butcher our pigs. I don’t enjoy harvesting any of our animals. My goal is to give our animal the best life possible with only one bad day. 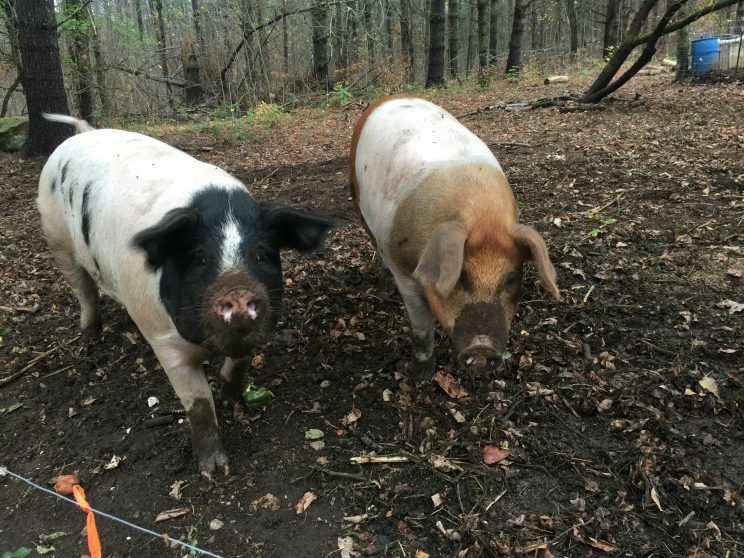 By harvesting our animals at our Homestead they don’t have the stress of being loaded into a trailer, going on a road trip and then finally ending up at a strange location with all weird smells. That being said we have our Modern Homestead so we can raise the best food possible for our family. We are carnivores and need good healthy meats and living foods in our diets. If animals are raised the way they were intended to be raised than the meat they provide us can be very healthy for our bodies. If the animals are raised the way they were intended to be raised they can also be healthy for the planet and help heal it. Do you know that an active prairie (grassland) can sequester more carbon than a forest can? The problem is we don’t manage our animals correctly so the prairies don’t. Let’s get back on topic about harvesting our own pigs. I like bacon! And I want the best bacon the planet has to offer. 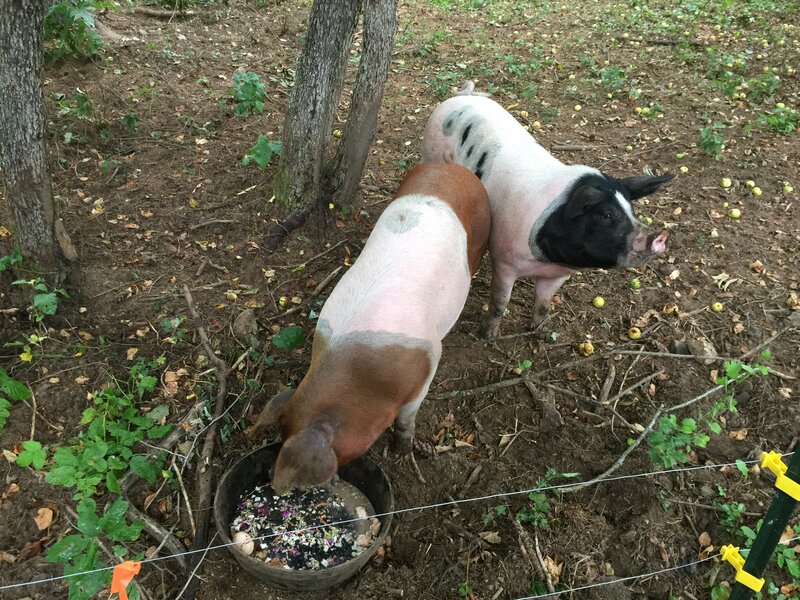 So I raise my own pigs. Now I believe in God and that he had his only son die for us. Stay with me here I will get to a good point real fast. I know as a father that would be a very hard thing to do. Taking an animals life is a hard thing to do also, it doesn’t really compare but it is hard. I believe he made it this way as a reminder for us that what he has done for us. If you think about it, for us to stay alive it takes death. Without death, there couldn’t be life. And without Jesus’s death, we couldn’t have eternal life. I hope I haven’t lost you, let me explain. In order for us to be healthy and stay alive, we need to eat living food. Food that is alive is all kinds of foods. Bread is alive, if it wasn’t it would not rot. So cheap wonder bread is not food. The cheap food that doesn’t go bad isn’t food. It is a science experiment. The cheap food that we buy that does not rot will not sustain us. Why do you think us Americans are as unhealthy as we are. Carrots, peppers, kale, all veggies are living. If you think by being a vegetarian you aren’t killing something you are wrong. If something is grown from a seed it is life. We are started from a seed. All life is a miracle. When you think about what you can grow from a tiny seed a little dirt and some water it is mind-blowing. 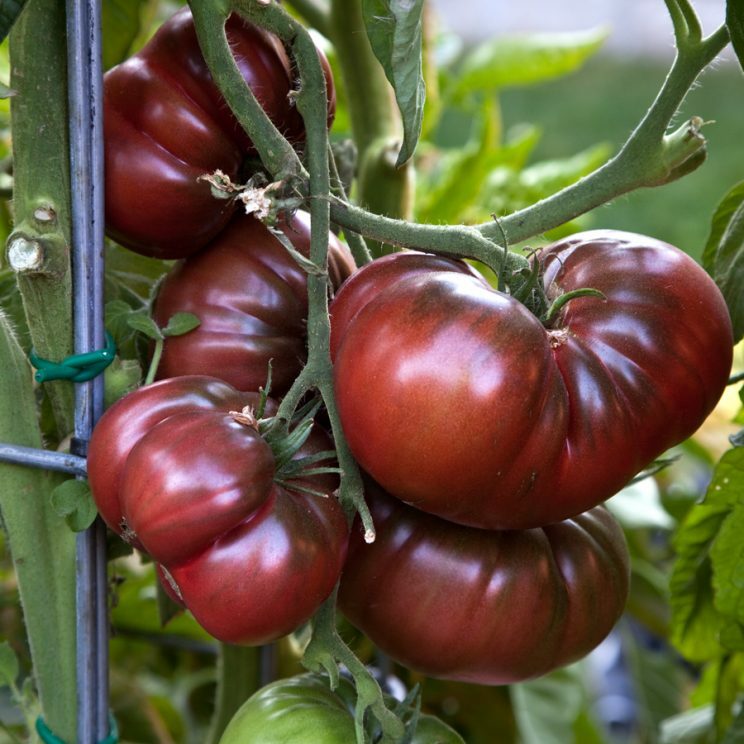 How does that tiny tomato seed turn into a huge tomato plant and produce the huge summer bounty? So when I say I want to raise the best food possible that is what I am talking about. I want to raise/grow food that will sustain us and our health. It takes that kind of food for us to live a happy and healthy life. Even the veggies we grow are living food. It takes soil that is alive to grow that kind of food. With that, there comes a sacrifice. One of the sacrifices is harvesting our own animals. Which is a great time to reflect and give thanks. How do I know there is a creator? It first stood out to me when I started raising my own food. I started with a garden, chickens, turkeys, and two pigs. When I start something I jump all in by doing so I got to learn how everything is interconnected and feeds off of each other. When you have a garden your soil needs to be fed and putting chemical fertilizer on it does not feed it. That’s like giving a junkie his drug of choice and after a while, the soil keeps needing more and more. Do you know what feeds the soil? It takes compost or animal poo. Which is dead rotting material and bacteria. It takes life to feed your soil! The dead rotting plant material or animal poo than grows food for you and your animals. 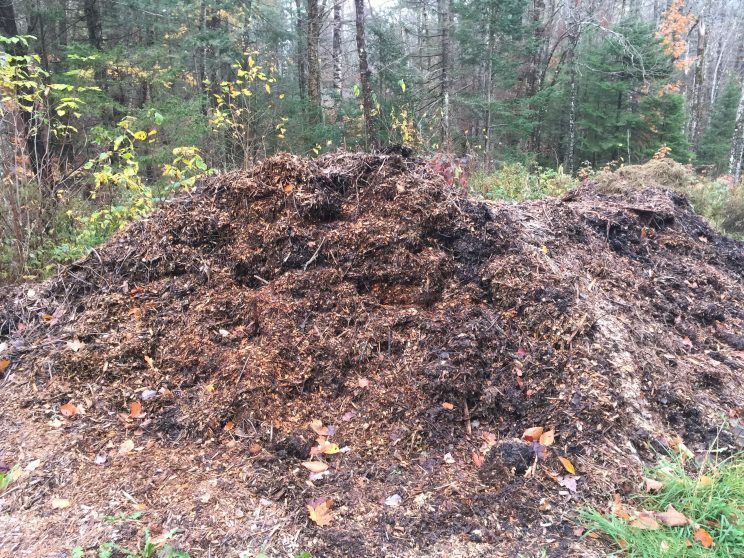 When you grow too much food or have leftovers you can give it to your animals and let them eat it and turn it back into poo, or you can add it to your compost pile and compost it. Then you get to feed your soil with it all over again starting the whole process of growing food again. Every pound of compost will hold 4 pounds of water. That means the more compost or organic material your garden has in it the more water it will hold. The more water it will hold the more food it will produce. Which in returns means you can have more poo and more compost and then grow EVEN more FOOD! And it keeps doing this over and over again! There is a lot more and I mean a lot more symbiotic relationships like this out there than that. 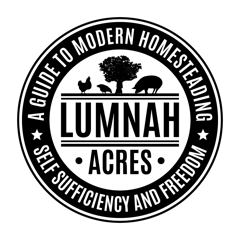 The more you get into homesteading and raising your own food the more your (my) eyes are opened to it. My point is that this doesn’t happen by accident or by two rocks colliding! This happens by design. In order for it to be designed there has to be a creator. He created everything with a purpose and for a reason. The more intentional life I live the more my eyes are opened and the more I see. We live in a fallen world. Not everything is going to be easy. So in order for us to have the best bacon possible, we will have to raise our own pigs and give them the best life we can and let them live the life that they were created to live. By letting pigs dig in the dirt, roll in the mud, eat grass, bugs, and apples until their heart is content we are letting them do that. But they were also created to be our food. Part of respecting them is letting them become the bones of our bones and the flesh of our flesh. But we need to harvest them humanely and use what we can for this to happen. Interesting and honest blog from you that more people should think about….The type of food and quality that go in their body….because it’s medicine and good health….We’re all part of God creative design! In commercial organic gardening, fields and fields of vegetables are kept without rabbits, voles, mice, foxes, all kinds of animals inhabiting that area. In reality, this reduces animal populations on a pretty grand scale. These animals are trapped, forced to live on smaller areas, more prone to predators, and eventually lessening their birth rates from less food. So, just eating veggies and fruit isn’t really saving animals. Truth is, it’s a jungle out there, and while we can reduce our intake of meat, doing so too often means adding needed B12 supplements and such to stay healthy. This cannot be the natural order of the way things were meant to be. It is so sad to see animals and people die, but God is faithful and has forever plans for us all. Very well put! Your reasons for doing what you do are comendable. Your post is teaching me a lot! even tho i dont consider myself a Christian I am religious in my own way. Because I haven’t bin brought up In faith or have religious friends. I take from very faith what I think makes me a decent human bieng. Helping others bieng honest respect nature. While I do believe in evolution wich contradicts everything Christians stand for. I do believe in the circle if live in faith and thing bieng ment to be and by design. Evolution is for me the greatest design ever. The way everytung is contevyed ti a scale we dont even conprehand. And everything is made out if energy and needs energy to life and when that life cycle is up we go back to that base energy ashes to ashes dust to dust comes to mind. But we all return to the soil one way or another and if we life the way we supposed to and our animals life the life they are mend to live I see the circle and that we are rewarded for working the land. I had a severe nervous breakdown feb 2017 i am struggling with a cronis PTSD since pregnancy. And tried to do it all go to school work a weekend job and have a fam and a household. Combined with mental illness and then a back that gave out and a husband (my best friend in live and were togeter for 18 uears almost ) was breaking down and was thinking about divorce wich we talked about and I respect him and acknowledge it’s a hard life bieng with me. But it as the drop that made the bucket burst at the seams and all my will to life flower away. I turned to gardening then orchids then permaculture s tudieng and feeling better by working with the earth and plants and a community that all loved plants and had orchids and most are religious and made friends and fam members and now I am trying to work the land for food instead for beauty. And it’s healing me On a scale I can’t explain. I needed 2 types of therapy both internal 5 days away from fam…the earth and faith made me so much better I could cancel the first No more emdr needed less medication and less back pain from getting stronger. Why I tell this is because I heard Heidi say something about scripture and by working the land we shall be rewarded. And I have… the power of nature and God goes far beyond my comprehension but if you take a step back and take care of your body of your health by working the land and raising and growing the best food possible you not only be healthier but also happier and now complete. I think it’s the key to sanity and stability and durability. I watch your channel with great joy and respect and admire the way you do animal husbandry and take care if your health and your fam. Your dedication your work ethics and natural happy exiting demeanor. And I’m in awe and hope to in one day teach others gardening and help people with anxiety and mental health problems find inner piece and stability through nature and faith that everything has it’s place and time and propose. Thank you for sharing your journey and live with us. It’s makes me more motivated to go on with mine.